Like most kabuki actors, Ichikawa Danjūrō XII (born 1946) was born into an acting family going back many generations. 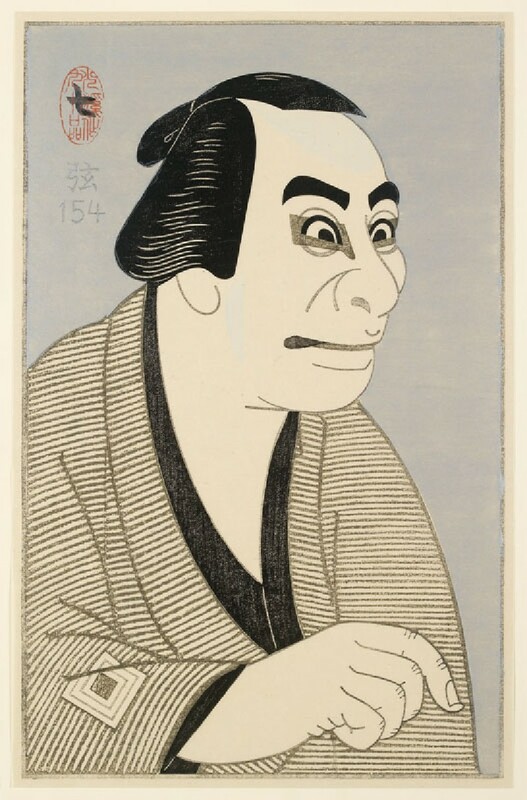 Kabuki actors begin training in classical dance, music and acting as young children, and may continue performing until their seventies or eighties. Each kabuki family has a number of special ‘stage names’ (myōseki): as actors advance in their careers, they successively change their names to use the more 'senior' stage names in a process known as shūmei. Ichikawa Danjūrō is one of the most revered myōseki of all. Ichikawa Danjūrō XII changed his stage name three times before assuming this particularly revered title in 1985.